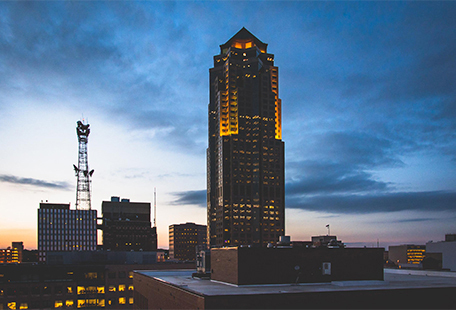 801 Grand is a 44-story, 920,317-square-foot (excluding parking) office building in downtown Des Moines, IA. Originally constructed in 1989, the building combines high-rise offices and a podium level with shops, a restaurant, a lobby, and parking. G/BA performed an energy audit and created a calibrated energy model as part of a Level 3 report by owner’s representative JLL. The firm also did airflow modeling to determine measures to mitigate stack effect and air infiltration. The projects were key to achieving the owner’s goals of reducing energy costs, improving IAQ, and achieving LEED-EB O&M certification. The project resulted in energy cost savings of approximately $424,000 per year, based on a 27.8% reduction in site EUI, with improved IAQ in the podium levels. G/BA staff leaders for the project were John Tsingas and David Eldridge. The property is shown below. Advocate Health Care is the largest health system in Illinois. G/BA’s project involved nine steam boilers at six Advocate hospitals in Illinois: Christ Medical Center, Oak Lawn (1.31 million square feet); Condell Medical Center, Libertyville (746,004 square feet); Good Samaritan Hospital, Downers Grove (1.06 million square feet); Good Shepherd Hospital, Barrington (468,723 square feet); Illinois Masonic Medical Center, Chicago (1.43 million square feet); and BroMenn Medical Center, Normal (446,000 square feet). Steam boilers were retrofitted with boiler flue stack economizers, domestic hot water preheaters, and deaerator tank vent condensers. 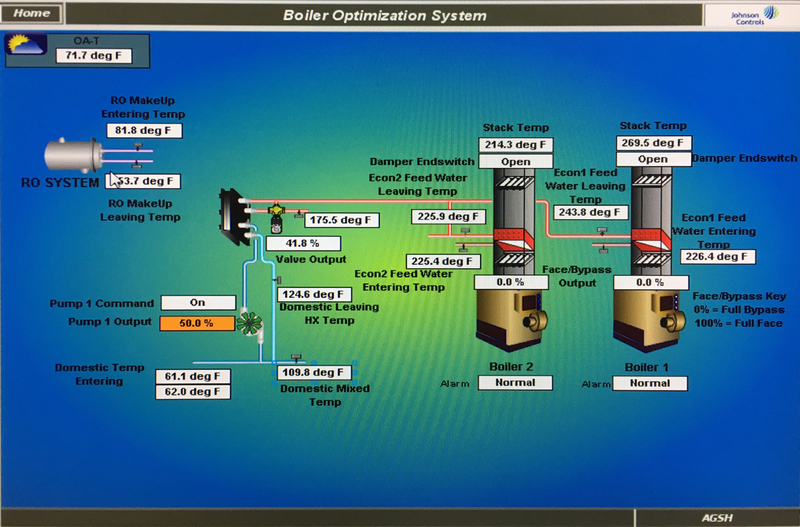 Plants at all campuses except BroMenn had previously been updated with high-efficiency boiler burners. Advocate received incentives from local utilities to support the retrofits. Reduction in annual operating costs is estimated at $184,000. G/BA staff leaders for the project included Dan Doyle and Tim Jendrycki. Awards were presented at the ASHRAE Illinois Chapter's recent winter party at the Metropolitan Club in Chicago's Willis Tower. York Chan and Ryan Ollie joined the celebration on behalf of Advocate Health Care.